Located amidst the bustling street of Lokhandwala Complex is Silli Chilli – a small eatery with an elaborate fast food menu. A narrow lane with limited seating on either side, it’s designed to cater to your hunger pangs between all that shopping. While finding momos can be a real task in Mumbai, this is that place that’s got them plus all other pan Asian preparations that are going to help you regain strength for the rest of the shopping. Silli Chilli is an Asian fast food eatery. A small layout gives it the takeaway feels and automatically prompts you to make it quick. But there is no holding back the fancy menu options. You can choose to make your own wok (INR 250 for vegetarian, INR 290 for chicken and INR 330 for prawns) where you choose your protein, your base, your sauces and then add-ons. They also have soups starting at INR 120 and their Manchow soup is particularly recommended. Then they have a range of starters from spring rolls, to chicken lollipop, to butter garlic prawns. And they also make dimsums and baos. Besides all these starters, they also have the main course section that does a choice of rice starting at INR 210, noodles starting at INR 210 and gravy for INR 250. To wash it all down, you can call for an aerated drink served at MRP. 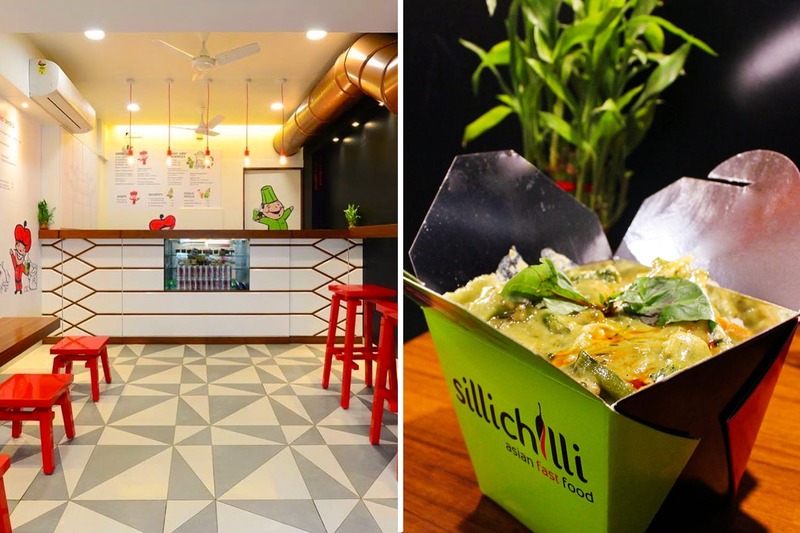 Next time you’re at Lokhandwala market, don’t think twice before grabbing a quick bite at Silli Chilli, your go-to place for Asian fast food. They also have an outlet in Khar.